Superfoods, which are foods packed with nutrients, aren’t just for humans. Your dog can get great benefits from these nutrient powerhouses, including disease prevention, increased energy, and better overall health. This little seed is packed with omega 3 fatty acids, which improve your pet’s skin and coat, reduce inflammation, and boost the immune system. Because chia seeds are so high in omega 3s, they are a great option for dogs who are unable to tolerate fish oils. The combination of high fat and fiber cause chia seeds to be digested more slowly, leading to a sustained release of energy for your active dog. To add these nutrients to your dog’s diet, try sprinkling some chia seeds over wet food, or mix chia seeds with warm water to create a gel that can be added to dry food. Sweet potatoes are rich in beta-carotene, which supports eye health, helps maintain a healthy skin and coat, and acts as an antioxidant to prevent disease. These tubers are also a source of Vitamin C to support immunity and fiber to promote healthy digestion. Evidence has also shown that sweet potatoes help to remove fatty cells from the liver to help maintain healthy organ function. Try cooking sweet potatoes to add to your pet’s meals, or look for freeze-dried sweet potato treats. Just like humans, dogs reap great benefits from adding dark, leafy greens to their diet. Kale, which is packed with vitamins and minerals like calcium, vitamin K, and vitamin C, is one of the best options for your pooch. Because kale is a cruciferous vegetable, it contains a compounds called isothiocyanates, which have been shown to help prevent cancer. Kale also contains a number of flavonoids, which can help reduce chronic joint pain and reduce daily wear and tear on the joints. To prepare, slice kale and steam before adding to your dog’s dish. Just be sure to avoid kale if your dog has had bladder stones or kidney disease, because it contains oxalates which can aggravate these conditions. Pumpkin is rich in fiber, an indigestible carbohydrate that improves digestive health and can be used to treat both constipation and diarrhea. Pumpkin is also rich in carotenoids, which are plant pigments that help to reduce the risk of cancer, boost the immune system, and help prevent cardiovascular and eye diseases. 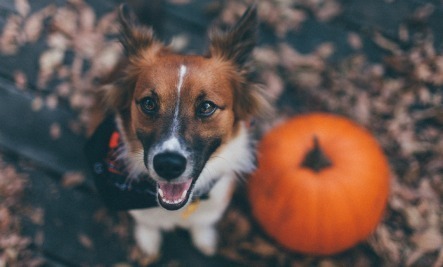 Try adding a spoonful of pumpkin puree to your dog’s food – just be sure to buy pure canned pumpkin rather than pumpkin filling, which contains added sugar and spices. This little berry is packed with polyphenols to help reduce inflammation and oxidative stress, which are help to prevent disease. These antioxidants also help to keep the arteries clean, which reduces the risk of cardiovascular disease and stroke. The anti-inflammation and antioxidant properties of blueberries are also great for your pooch’s brain, as they help prevent dementia and other age-related cognitive decline. Fresh blueberries make a great snack for your dog, or you can add a few to his dish a couple of times a week. Alfalfa is part of the legume family and has traditionally been used for its health benefits in animals. It’s rich in fiber and has been shown to help improve digestive health. Alfalfa also helps remove uric acid from the kidneys, which can help with arthritis and urinary conditions. Alfalfa also contains chlorophyll, a powerful antioxidant, and phytoestrogens, which have been shown to help prevent cancer. Powdered alfalfa can be added to your dog’s meals, or you can look for alfalfa in dog treats. Bonus: it helps freshen your dog’s breath. Leesa recommends choosing only organic for your dog too! Janelle is a freelance writing living in British Columbia. Follow her blog at whollyhealthyblog.com. Have you shared this story yet? Go ahead, give it a little love… Merci! Everyone needs appropriate opportunities to release stress, expend energy and give boredom the boot. That includes people, dogs, cats and, yes, even rabbits and ferrets. Such actions offer physical and mental enrichment while helping to keep unwanted behaviors at bay. Here are some ways you can enrich your pet’s life and help prevent him from acting destructive because he’s bored. Home in on that natural hunter in your dog or cat by placing a portion of his daily kibble in a food puzzle toy or hiding it in a couple of locations in your house for him to sniff and find. You may need to assist your pet the first few times to show him how to play this food game. Call out his name and point to the food. Praise him each time he finds another tasty nugget. A paper bag — with the handles cut off — placed open on the floor can become a neat hiding place for an indoor cat, especially if you sprinkle some organic catnip inside. A small piece of drainage pipe (clean and dry, of course) left over from a plumbing job can convert into an exploratory tunnel for your ferret or pet mouse. A twig from a nonpoisonous tree makes for an ideal chew stick for a rabbit or bird. Instead of having all of your pet’s toys scattered throughout the house, purposely stash two-thirds of them in a toy chest or location inaccessible to him. Each week, rotate toys from the chest. Watch your pet’s eyes light up when he gets reacquainted with a favorite toy that “disappeared” a couple of weeks ago. Don’t get into a rut when it comes to walking your dog. Vary the time of day, the location and the pace. Bring some treats and reward your dog for acing a variety of cues and tricks during the walk. Instead of using a small ball that your dog can grab in his mouth during a game of fetch, introduce him to a large ball that he must learn to nose and paw to move. When providing environmental enrichment, always inspect items for safety. Make sure that the toy or object does not contain any small parts that can be swallowed. And remember to have fun interacting with your pet — it will put both of you in a good mood. Vetstreet is an animal healthcare company that celebrates the joy that animals bring to our lives while educating pet owners about the best ways to keep their pets healthy and happy. We deliver advice from veterinarians, trainers and pet experts who are dedicated to giving you the most trusted, authoritative information available. Vetstreet.com’s goal is to help you help your pet live a long, happy and healthy life. 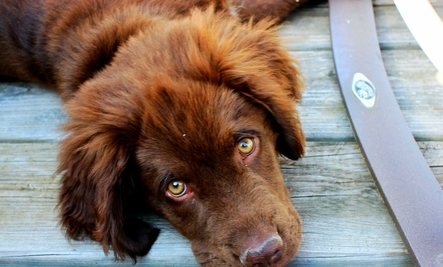 Think you know your pet‘s every unspoken wish? Think again. Your pet is unlikely to be capable of communicating her wants and needs in ways you might assume she would. Even those of you most in touch with your pets‘ feelings are likely missing a few cues here and there. As a veterinarian, I’m more than aware of some of those communication gaps. It’s not as if I’m perfect in assessing my own pets’ thoughts and feelings (ain’t none of us perfect), but as someone who works on the front lines of animal health care, I can usually spot interpretation mismatches pretty quickly (in others, anyway). 2. I‘m scared. When pets get aggressive, owners often assume their pets are acting out because they’re being dominant, angry or just plain bratty. But the truth is often much simpler: They may be just plain scared. And fear must be dealt with differently — far more carefully — than other kinds of aggression. It calls for the assistance of a certified trainer or veterinary behaviorist. 3. I‘m pissed off. I know it’s a vulgar thing to say, but there you have it. Cats, especially, are prone to getting PO’ed when things don’t go their way. 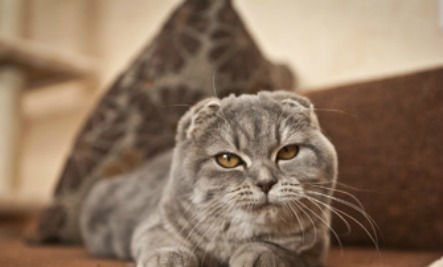 While there can certainly be an underlying medical condition behind litterbox avoidance, it can also be a sign of pent-up resentments in kitties, especially if they don’t agree with your choice of litter or have a bone to pick with the litterbox cleaning schedule. 4. I resent my housemate. Both dogs and cats can be jealous creatures. And cats are extraordinarily territorial by nature. But the signs that things are amiss between dogs and dogs or cats and cats can be incredibly subtle. So subtle that you’ll easily miss them — until it’s too late, of course, and altercations ensue. It’s another instance where a certified trainer or veterinary behaviorist might be in order. 5. I need to lose weight. If there’s one subject most owners tend to overlook, it’s obesity. In fact, most of my clients are shocked when I tell them their pets are easily 20 to 50 percent overweight. Now, your pets may not want to eat less, but they certainly don’t want to feel the effects that excess poundage brings. 6. I need more exercise. This is a corollary to No. 5, but it deserves its own line item on this list. That’s because dogs and cats who get regular exercise are not only leaner, they also tend to be happier. Promoting exercise is a key goal of environmental enrichment, after all. 7. I‘m sick. As with pain, dogs and cats are masters of masquerade when it comes to illness. Cats are especially proficient at this kind of obfuscation. Indeed, unless you’re really, really careful about watching their every move (appetite and litterbox activities, especially), you might not catch a critical issue until it’s well under way. Trouble is, the socialization window for pets is both early and brief. Ask a certified pet trainer or veterinary behaviorist how socialization is best accomplished. 9. I need a professional trainer. Training is not just for puppies! And training is not just for dogs who misbehave. Training is forever. Ideally through a certified trainer who can hook you up with Canine Good Citizen or therapy pet status and other niceties, including training for athletic endeavors, if your pet is so inclined. Not only is it intellectually stimulating, it’s also great for your relationship with your pet. Now, training your cat? That’s a whole ‘nother story — but it’s possible. 10. I need pet insurance! Pet insurance is a must! 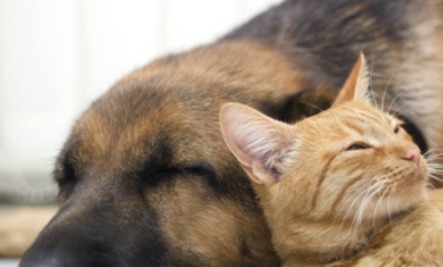 Without pet insurance, you might not be able to do what’s best for your pets. Consider my recent bill at the board-certified veterinary dentist: Would you be able to pay $6,000 for two root canals? Most of you wouldn’t. Hate to say it, but some owners might leave their dogs in pain or simply extract teeth that have an important function (for $1,500-$2,000) if they couldn’t afford it. Sad, right? But if pet health insurance will happily pay 90 percent of that bill, why not take out a policy? OK, so that’s my list. Have any extra oft-misunderstood pet signals to share? Most dogs know when you’re eating something you really enjoy. They give you those sad puppy eyes that say, “Please share.” The question that haunts you is, do I give in and offer my dog some? Is this human food good for my dog? While some people foods will make your dog sick or add unnecessary weight, there are a number of people snacks you can share to ease those sad puppy eyes. 1. Apples. It’s best to keep the skin on apples when you feed your dog this treat. Apple skins contain phytonutrients that some believe can shield against some types of cancer in humans. Apples are rich in vitamins A and C and fiber. Watch out for apple seeds, though, as they contain cyanide. Bernadine Cruz, DVM, a veterinarian at Laguna Hills Animal Hospital in Laguna Hills, California, recommends fruit like apples for overweight dogs. 2. Peanut butter. A great source of added protein and fiber. Avoid sharing large gobs of the stuff, as it is tough to chew and swallow. A tablespoon on their dry food or letting them lick a swab off your finger is best. 3. Yogurt. This treat is loaded with calcium and protein. Make sure the yogurt has live active bacteria and no sugars or artificial sweeteners. If your dog is overweight, opt for fat-free yogurts, so long as they don’t have fat substitutes—like Simplesse or Olestra. 5. Watermelon. Share sparingly, as this snack is loaded with sugar, which will add to your dog’s weight. Remember to remove the seeds. And serve outdoors to prepare for a quick potty run, since watermelon is filled with water and fiber. 6. Salmon. This fish is loaded with omega-3 fatty acids, which can help your dog’s immune system and keep his skin and coat healthy. Make sure your salmon is cooked before giving your dog a taste, since raw salmon can contain a parasite that can make your dog sick. On the other side, there are certain people foods you should not share with your dog. According to the ASPCA, these include chocolate, Macadamia nuts and avocados, which can cause a number of serious health complications. The same holds true for grapes and raisins, which can cause kidney failure. And keep your dogs away from milk, which can cause diarrhea and other digestive problems. For a complete list of what not to feed your dog, check out ASPCA’s People Foods to Avoid Feeding Your Pets. Leesa recommends all the people food you feed you pet be organic! My Ava also loves steamed organic broccoli! As owner/president of AK CreativeWorks, Alex A. Kecskes is a national award-winning writer/blogger/journalist who has written over 2,000 published articles on health/fitness, “green” issues, careers, consumer tech, arts/entertainment and many other topics. He also writes web content, ads, brochures, sales letters, mailers and scripts for national B2B and B2C clients. Follow Alex on twitter athttps://twitter.com/TopWordsmith. May 31 is Save Your Hearing Day. Let’s also make it Save Your Dog’s Hearing Day. It’s extremely common for senior dogs to gradually lose their hearing, often until it’s completely diminished. However, there are many small changes we can make to our environment to help prevent their hearing loss. 1. Take a sonic inventory. Sound is like air. We rarely notice these two common elements unless the air suddenly becomes polluted or the sound becomes chaotic. The sonic inventory is one way of becoming aware of the noise in your pet’s environment. 2. Don’t expose them to loud bands or loud street fairs. Humans hear sounds between 20-20,000 Hz. Dogs hear at least twice as high, sometimes all the way up to 55,000 Hz. While I think it’s great that more events and public places are dog friendly, so often those environments are created for humans. A fundraising party for dogs and their people that benefits your local shelter, doesn’t benefit your dog when a loud band is playing. Please be careful of your dog’s sound environment. See also: What Do Dogs Hear? 3. Provide simple sounds at home that calm the canine nervous system. 4. Be aware of your dog’s unresolved sensory input. When it comes to sound, dogs don’t always understand cause and effect. You know when people are in your home yelling at the TV during a sports game that it’s all in good fun. But, it may not be much fun for your dog, who is still trying to orient whether all of those crazy sounds are safe. Put Fido in a back quiet room, listening to music especially designed for dogs. This can not only safeguard his hearing, but also his behavior. 5. Don’t play two sound sources simultaneously. 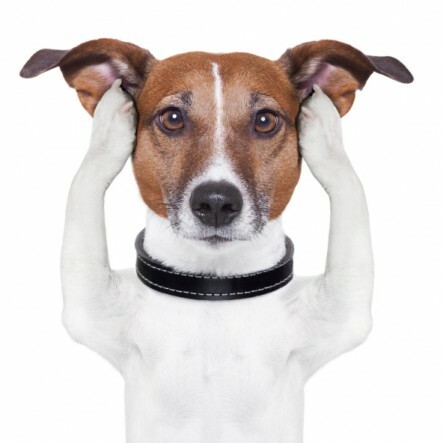 Remember that your dog’s hearing is so much finer than yours. One family member may be in the living room blasting the TV, while another is in the kitchen listening to the radio. 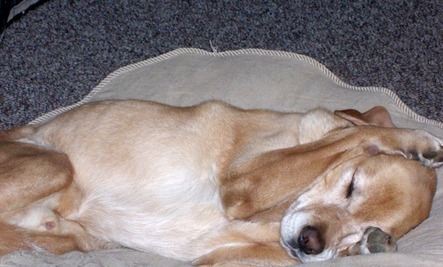 Your dog is caught in the middle, absorbing both sounds and getting stressed. Try and only have one sound source at a time, playing at a gentle volume. My senior dog, Sanchez, just turned 11 years old. I have been more cautious about his sound environment than any previous dog. I even play the grand piano with the lid down, as he loves to lay underneath it. I am happy to say that he has shown no signs of any hearing loss. Have your senior or other age dogs lost hearing? Have you learned how to help diminish that hearing loss? Thanks for sharing your experiences in a comment below.